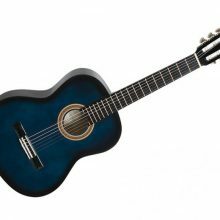 Another amazing value for money guitar from Cort. 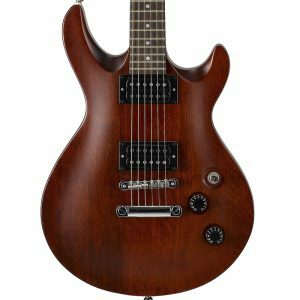 The M200 features a double cutaway all-mahogany body for a robust and punchy midrange tone with a beautifully carved top for sleek looks and playing comfort. 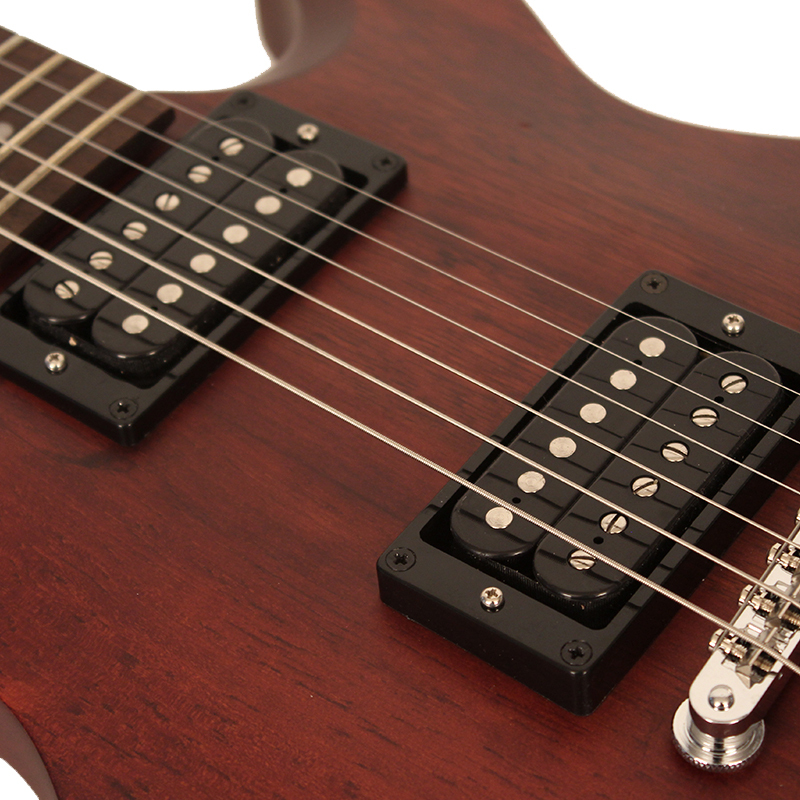 The M200 is equipped with a T.O.M. 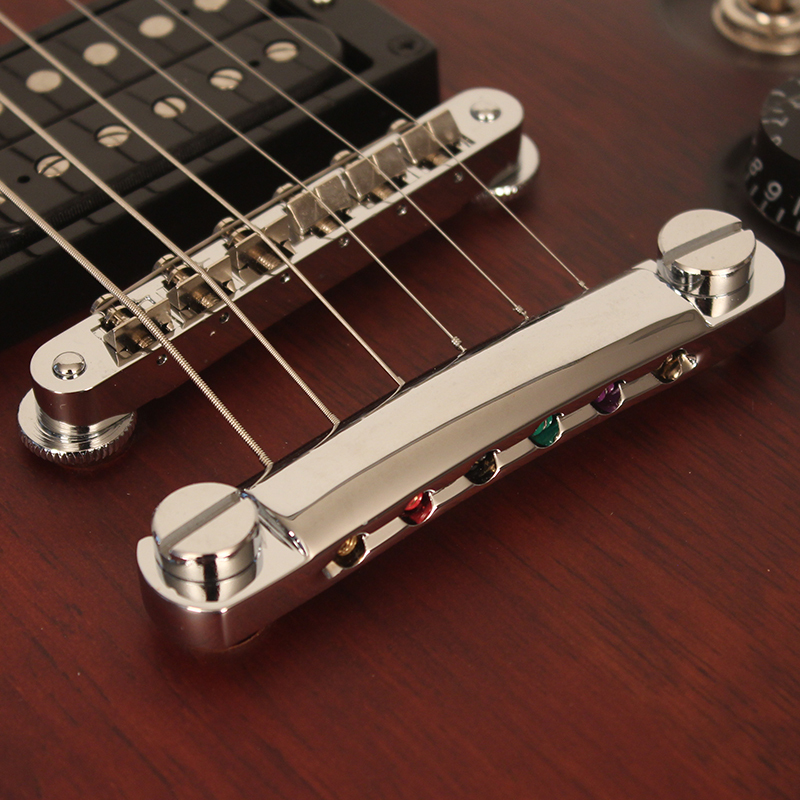 bridge and stop tailpiece which provides enhanced sustain as well as tuning stability and accurate intonation. The Powersound PSLP-1F & PSLP-1R (H-H) pickups provide classic humbucker punch and tone with a quality/value quotient that cannot be beat. A clean look as well as no drag on your fingers due to the smooth satin finish means more comfort, increased speed and enhanced playability.